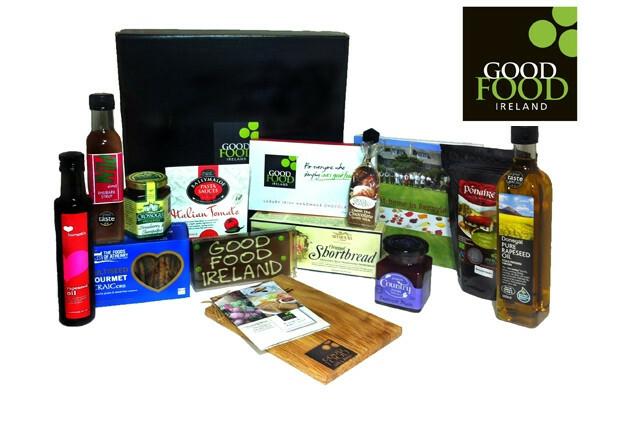 Exclusive Good Food Ireland Valentine’s Gift Box delivered anywhere in Ireland. Give your loved one more than just chocolate this Valentine's with an exclusive Good Food Ireland Gift Box while also supporting local artisan food producers. It is a food lover’s dream, packed full of delicious Irish artisan food for just €69.00 valued at €115.00. With this exclusive offer from Rewarding Times you can purchase the Gift Box and avail of delivery in Ireland on Valentine's Day. Good Food Ireland, your guarantee for everyone who simply loves good food! Please note there are strictly only 30 hampers available so it will be on a first come first served basis. Strictly only 30 Gift Boxes available. On receipt of your voucher, please contact goodfoodireland.ie at info@goodfoodireland.ie quoting your voucher code, your name, address and contact phone number plus the details for the delivery – Recipient name, Daytime delivery address, contact phone number and greeting. Vouchers must be redeemed by midnight Tuesday February 11th 2014 for Valentines delivery. In the unlikely event of a product becoming unavailable, a substitute of similar style and of equal or greater value will be supplied. Delivery is only available throughout Ireland.